Sergeant Harry Payne, 1858-1927, West Kent Yeomanry Harry Payne was a prominent Victorian and Edwardian military artist. 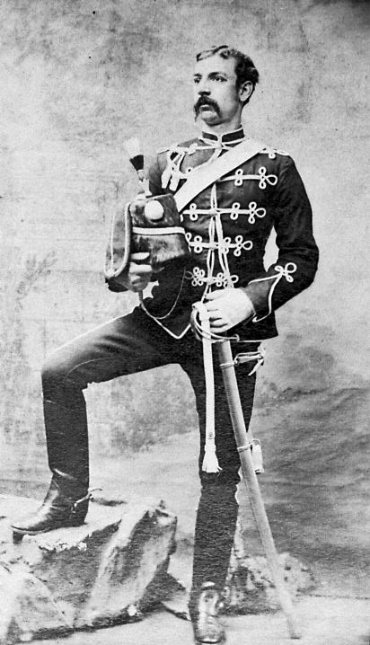 He also served with the West Kent Yeomanry at Bromley from 1883, retiring as a sergeant in 1906. The regiment is fortunate enough to have several of his paintings. Harry was born in Walworth in 1858. He disliked office work and became a commercial artist, often attending parades and exercises as part of his work. He later wrote that, after seeing a yeomanry troop on exercise this, “happy episode left such an impression on my mind the following year that I joined a Yeomanry regiment myself and put in 23½ years with it and my only regret is that those old days could not be lived over again”.